Adjustable Rate Mortgage(ARM) A type of mortgage where the interest rate fluctuates periodically based on bank prime rates. It is also known as the variable rate mortgage. 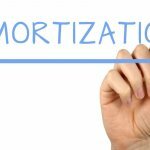 Amortization The duration of the loan repayment that is calculated by equal continual payments to pay off the outstanding debt at the end of a fixed period, including accrued interest and principal on the unpaid balance. Appraisal An estimate of the value of a property that is assessed by a qualified professional called an ‘appraiser’. The value is determined by either a direct comparison, cost, or income approach. Assumption The legal agreement that involves the purchaser and the vendor where the purchaser assumes the payments on an existing mortgage from the vendor. Assuming a loan can normally save the purchaser money since there are no closing costs involved. Broker An individual who is involved in arranging financing for a client who does not personally loan the funds himself. Brokers are normally compensated for their work by charging a setup fee or receive direct commission from the financial institution they are setting their client up with. Closing The final step in the mortgage process, which involves a meeting between the purchaser, vendor, and lender. It is where the property, title ownership, and money legally change hands. Closing Costs Costs involved in obtaining financing. The major costs involved in obtaining financing include: appraisal fees, legal fees, and transfer taxes. The closing costs are normally around 1.5% of the purchase price. CMHC The Canadian Mortgage Housing Corporation. They provide High Ratio Mortgage Insurance by protecting the lenders and guaranteeing them payments on the funds they are lending out. Allows people to obtain homes with less than 20% down. Commitment An agreement in writing between a lender and a borrower to loan funds on a specific date. In a commitment there is a set list of conditions that need to be met prior to funding by the borrower in order for the transaction to be properly executed. Construction Loan A type of loan where borrower obtains financing to cover the cost of construction. The lender advances funds to the borrower in intervals known as draws. As the portions of the construction project are completed, more funds are then released in order to complete the next step in the construction process. Conventional Loan A mortgage that is not insured by a mortgage Insurer (CMHC, Genworth Financial, and AIG.) Under 80% Loan To Value. Credit Report A report that provides information to the brokers and financial institutions about the applicant’s current and past credit history. Default When the borrower fails to meet legal obligations in the mortgage contract. It is specifically when they fail to make their monthly payments on a mortgage. Delinquency When the borrower fails to make their mortgage payments on time. This normally leads to a forced sale on the borrower’s home. Down payment Funds that are provided by the borrower to make up the difference between the mortgage amount and the purchase price. Down payments normally range between 5%-25% of the purchase price. Equity The difference between the property value and the financing secured against the home. Whatever portion is not secured by the lending institution constitutes itself as the ‘owner’s equity’. First Mortgage A mortgage which is in first lien position. It takes priority over all other liens that are registered against the property. The only way a first mortgage can be pushed into second position is when the government is involved and registers tax liens against the home. Fixed-Rate Mortgage A type of mortgage where the interest rate is set for a specific period of time. The rate cannot fluctuate and a fixed payment is set during the term negotiated between the lender and the borrower. Gross Monthly Income The total income that an individual earns per month prior to any expenses or deductions are taken into consideration. Interest to Maturity On regular closed mortgages, this is the maximum amount of interest a lender can charge if the mortgage is paid out less than 90 days to maturity. Investor A source of funds for a lending institution. The institution then promises a certain rate of return to the investor based on the assessed risk of placing those funds out in the marketplace. Lien A legal entitlement that is secured against a property for an outstanding payment of a debt or obligation. Loan-To-Value Ratio The difference between the amount of the registered lien(s) and the property value expressed as a percentage. For example, if there is a mortgage registered for $100,000 on a $200,000 property, the loan to value ratio is 50%. Market Value The lowest price that a seller would agree to have someone purchase his property for. At the same time the highest price a buyer is willing to pay for that same home. Most of the time a home is purchased within 3-4% of the asking price of the seller under normal circumstances. Net Effective Income The borrower’s gross income less all deductions and taxes. Origination Fee A fee that is charged by the lending institution and/or broker in order to prepare and organize the loan for the client. Normally a certain percentage of the loan amount is calculated and deducted from the gross proceeds. P.I.T.H An abbreviation for principal, interest, taxes, and heat. P.I.T.H. is also known and referred to as a monthly housing expense. This information is taken into consideration when calculating how much an individual can qualify for. Power of Attorney (POA) A legal document authorizing one person to act on behalf or represent another in a legal transaction. Prepayment When a lender allows the borrower in a mortgage to make additional payments that are not set within the regular payment schedule. Prepayment Penalty A penalty charged to the client due to paying out a mortgage prior to its natural expiration. Principal The financial obligation still left on a mortgage. This does not include interest accrued or paid on the mortgage. Rate Protection Plan With our Rate Protection Plan 180, this allows you to lock in your interest rate for 120 days which will prevent it from rising, but in the event the rates decline or level off, it also allows you to get a lower rate and extend your closing. That’s right. Lock in a rate to protect yourself if rates increase, but if rates dip or trend down then we’ll adjust your closing and your rate to match the market and move you from lender to lender if the need arises. There’s no catch and there are no additional fees. As a worst case scenario, if you are 180 days from your renewal date and the rates start to rise, at that time we reserve that rate for 120 days. Assuming the rates continue to rise, at closing you will only have to pay the interest to maturity of 60 days to your current lender. Before you close, we present you options and you can make the choice to continue or readjust with the market until your true maturity. If rates were to rise by even a quarter percent (¼%), the savings may be well worth the cost of interest to maturity. Our goal would be to extend your closing to the actual renewal date and obtain the lowest rate for the chosen term, under our No Fee Transfer program. Realtor A professional who is legally registered with a real estate brokerage firm that provides the services of helping someone find or sell a home. Second Mortgage A mortgage which is in second lien position. It takes priority over all other liens that are registered against the property except for the first mortgage. Title A legal document that provides ownership verification of an individual’s property. Title Insurance A certificate that is normally distributed by a title insurance company. It guarantees a home buyer’s legal safety against errors in the title search. It also insures that no other mortgages can be registered without acknowledgment and permission from a lawyer and the originating financial institution. Title Search A search that is usually completed by a lawyer or title company in order to obtain municipal records. It is done in order to confirm the legal ownership of the property. Prior to registering any mortgages, a title search is completed to insure that there are no unknown encumbrances secured against the home. Underwriting When a decision is made whether to pursue or provide a loan to a potential individual seeking financing. Standard underwriting considerations used to assess a file are credit, employment, and net worth. Based on the information provided an appropriate rate, term, and loan amount are provided as offers to the client. Will there be a return of the 30-year amortzation for insured mortgages? 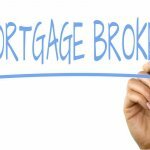 Mortgage Broker or The Bank? Working with the team at Tristar Funding Corp The Mortgage Center in Kitchener to secure our mortgage was quick and easy. We worked with Chelsea who was able to answer all of our questions and helped us every step of the way. She was able to secure us a great rate with excellent conditions. She provided us we lots of information and advice on our mortgage options as well as helped us better understand our first time home buyer and land transfer tax possibilities. She also took the time to work with us to show us the cost benefits of putting different down different size down payments and fixed vs variable mortgages. We would definitely recommend the mortgage center team to help you find the mortgage that is right for you! Thank you to Chelsea and her team for helping us buy our new home. Had a great experience dealing with Rick and Katie. They kept me in the loop all the way through a fairly complex refinance and purchase of some rental properties. thanks again. Excellent customer service. Very knowledgeable and patient staff. Extremely satisfied customer for over 19 years!! Chelsea was super helpful when answering all my many questions and was always very quick with her email responses. I got a fantastic rate on my mortgage and it was a hassle free experience. Thanks! As first time homebuyers, my husband and I didn't know what to expect when it came to getting our mortgage. Rick, Chelsea and their team made the process very easy! I most definitely recommend The Mortgage Center to anyone looking for a mortgage! We had a great experience here. Paul worked hard to get us our mortgage at a competitive rate. What's more impressive however, is how helpful he has been though the entire process-including follow up questions months later. He is knowledgeable and clearly experienced in his field. Copyright © The Mortgage Centre KW. All Rights Reserved. Brokerage Licence #10828. Each Mortgage Centre Office is independently owned and operated.